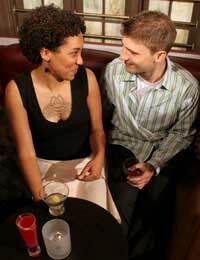 Good conversation is often the making of a good date but there are some topics that you should try and steer clear of. You want to share enough to get to know your date better but not so much that you reveal too much personal information to someone that you have just met. Here are a few safe topics that should help you find out more and some that you should try to avoid if you can. A date is the perfect time to discover what you have in common and find out more about what you both enjoy doing in life. Whether it is music, travel or hobbies, use this time to find out if you would enjoy spending more time together and learn how well you get on. News, celebrities and the state of the world are always topics that everyone has an opinion on and are good conversation starters. Try not to get too deep into politics or religion but a good hearty chat about current affairs is usually pretty safe ground to stick to. The day job that you do often says a lot about the person that you are and as you spend so long doing it there is usually a lot to say. You can learn a lot about someone by what they like and hate, how they react to difficult situations and what their ambitions are. Ex-partnersTalking about ex-partners is never a comfortable conversation and is best avoided for at least the first couple of dates. Firstly you don't want to delve too deep into your past or personal life too soon and it can also evoke jealousy or anger in some people. You should never lie about having children or be afraid to admit it to your date, but you should sensor the amount of information that you give away. Tell your date about them but be careful about showing photos, or giving details about where they go to school etc. This date is about you not them. Obviously you are going to talk about your daily routine in terms of work and play but only on a simple level. You do not want to divulge details of where you live, work or what time you do things each day. If it feels like your date seems to be trying to draw out this information then be careful about their intentions. Going on a date is all about talking and getting to know each other but you can do this while still avoiding precarious topics of conversation. Stick to topics that allow you to find out more about each other's interests and opinions such as current affairs, work and hobbies. The topics to avoid are anything that reveals too much about your daily routine, your family or your personal history. A date should not push you to talk about these things and if they do, then you are best to declare the date over as soon as possible. The key is to not become too personal. On a first date you should definitely avoid religion and politics, two contentious issues. It's better to keep to generalities and discover what common interests you share. Be very wary of giving out personal details, and you should never initially reveal either your address or landline to a date. Keep things light, try to choose things that will make you both laugh a lot - work is always a good bet for that.